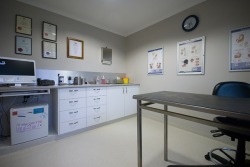 A third anaesthetic machine allows us to do dirty procedures on our wet procedures table. 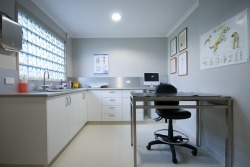 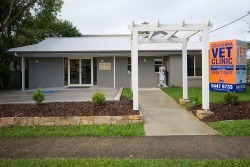 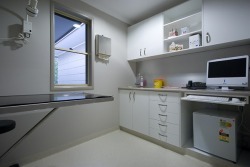 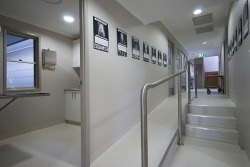 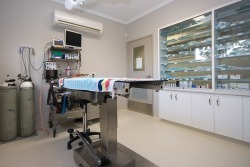 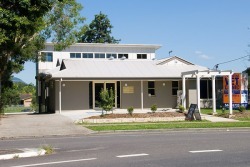 This is one of 3 rooms where we can do surgery. 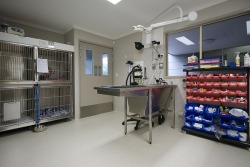 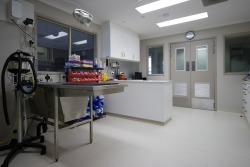 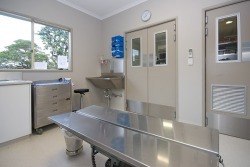 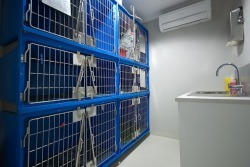 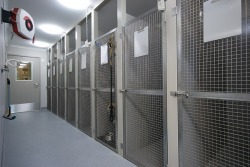 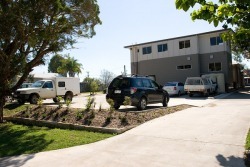 This is generally where we prepare animals for surgery before moving them into the theatre. 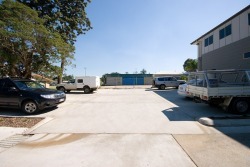 There are ample car parks available at the back.